The bouncer was ensuring all was well as he watched the proceedings from a 3D angle!! 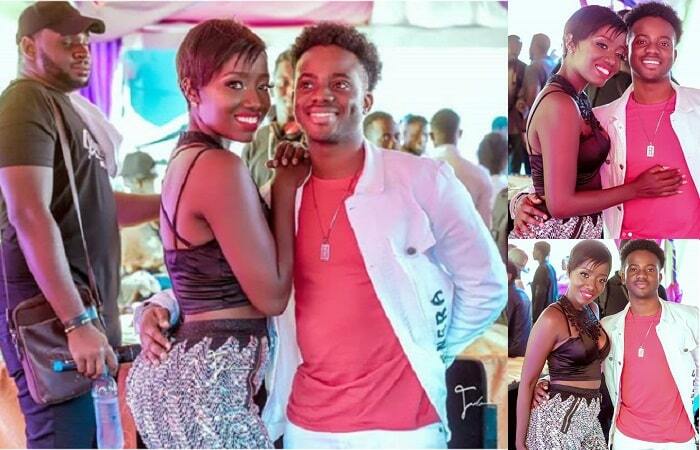 Nigerian star, Korede Bello, who was the lead artist at the just concluded Fly Fest concert held at the Hockey Grounds on Saturday in Lugogo is all set for a collab with Lydia Jazmine, one of the hottest urban acts of the moment. On the sides of the concert, the 'Godwin' singer could not get enough of Lydia Jazmine after discussing very pertinent issues that included doing music among others. 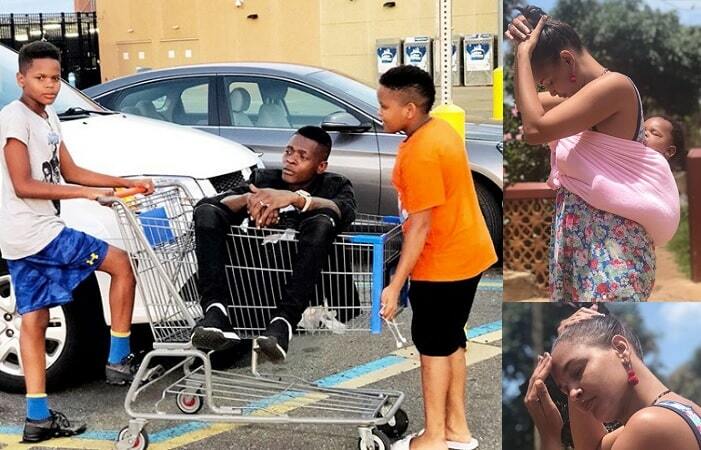 It all started with Lydia Jazmine, who came clad in a fitting short that accentuated her curves and a top that could pass for a bra, this left the Naija star, Korede, weak in the knees. The dimpled singer was all smiles after Jazmine placed her arms right by his shoulder, it must have felt good so he returned the love by placing his hand right by her waist. Pics speak louder than words and that is exactly what is being exhibited in this pic, though one of the bouncers assigned to the singer was really observant that at some point he forgot his job and instead concentrated on where Korede's hand was headed. The young and rich musician in Nigeria while appearing on NBS After 5 show, a day before the concert, he stated clearly that he was looking for love and was all set to mingle, we hope he was sorted in a way, but that aside, he enjoyed his stay in Uganda including being introduced to the #rolexchapati which he did not know. Meanwhile, fans from the two camps are looking forward to a musical piece after the West African world collides with the East African world.